Ductless cooling and heating systems provide five unique advantages when they are used in residential locations. If you are going to put one of these systems in your home or business, you will take advantage of the practical benefits that the equipment provides on a regular basis. When compared to standard central HVAC systems, a ductless option cools and heats spaces in a very strategic way. Traditional solutions circulate air throughout ducts, which is slow. While air moves throughout a ductless system, spaces reach proper temperatures quicker because the currents blast directly into the dedicated zones. If you are trying to lower your energy costs, a ductless system is an ideal solution. Although traditional HVAC equipment can effectively cool or heat a space, the time it takes to accomplish typical air circulation tasks can impact the total energy costs. Ductless systems do not use a lot of energy to manage temperatures in a space, as the equipment is highly efficient and compact. 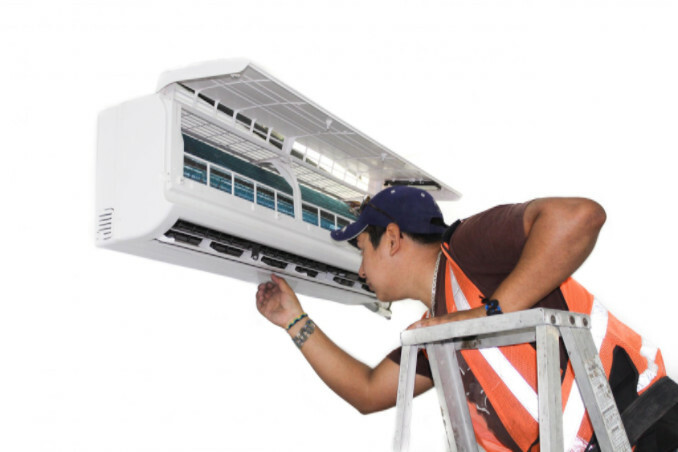 Another advantage is the cool and hot air does not have to travel throughout various areas during the cooling and heating process, and therefore ductless systems do not dramatically increase your energy bill. In many neighborhoods, cars and other automobiles produce fumes that pollute the environment. Although this kind of pollution usually floats into the atmosphere, some of the particles can invade a house. When these contaminates and other kinds of air pollution are distributed in a residential environment, the air quality can decrease dramatically. On average, the air in a home is more harmful than the air outdoors; therefore, ductless systems are valuable. A ductless system does not have nooks and crannies, so dust, pollen and other contaminates cannot access spaces easily. You should consider a ductless system if you need to update your HVAC equipment in a short length of time. Typical air conditioning systems have a lot of complicated components, which is why residential HVAC technicians usually complete all wiring and configuration tasks within a few weeks. Because ductless systems do not have many components, you can begin enjoying cool or hot air in various spaces within 24 hours. If you pick a multi-structured system, a residential HVAC technician must cut a minor gap for the pipes. This means there is no major construction required to place the equipment on a residential property. Since ductless systems cool and heat spaces by strategically circulating air in different zones, they are very dependable and energy-efficient. When compared to regular HVAC systems, ductless options exceed the energy standards that are set by the federal government. As a result, you will spend less cash on your energy bill and reduce air pollution in the environment by using a ductless heating and cooling system. When a ductless system is used, the environment does suffer as the equipment decreases temperature by using a special refrigerant. R410A is a unique kind of refrigerant because it does not affect the ozone in a dramatic way. To experience these and other benefits of installing a ductless mini-split AC system, contact a local HVAC company.